CEW beauty awards winner 2015. Polishes, hydrates and clams congested & dull skin. Made by British bees. Not tested on animals. 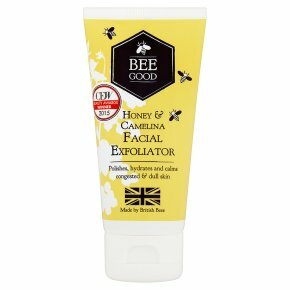 No parabens, synthetic colour, mineral oil, silicone, SLS or SLES.Packed with super gentle yet effective British wild flower honey, potent antioxidant vitamin E, soothing wheatgerm oil and moisturising camelina, this creamy facial treatment gently buffs away dead skin cells to reveal bee-autifully soft, smooth and radiant looking skin.